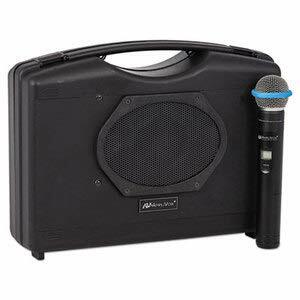 A complete presentation system built into a rugged, compact carrying case. 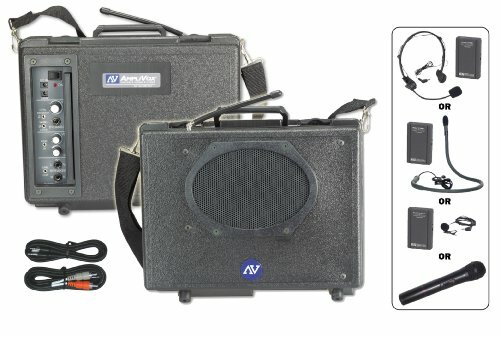 Powerful 50 Watt multimedia stereo amp, reach up to 1,000 people outdoors or in rooms up to 10,000 square feet. 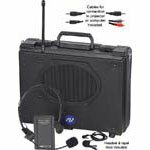 Built-in 16 Channel UHF Wireless Receiver and included Wireless Handheld microphone. Bluetooth wireless technology, stream audio wirelessly from your smart phone, tablet, or any other Bluetooth enabled device. A proven "Road Warrior", specially tooled and molded plastic briefcase-style enclosure for exceptional durability and portability. Travels and sets up so easily. Dual wireless option, accommodate multiple presenters. 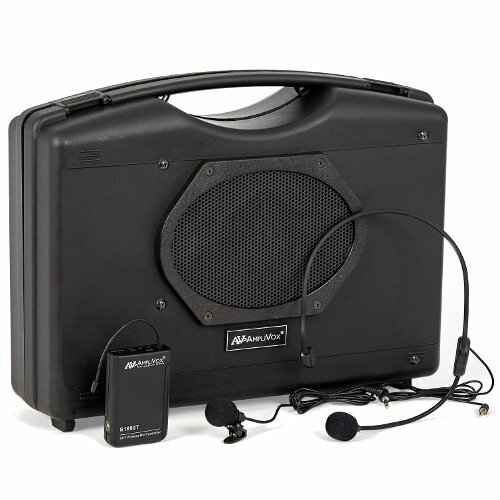 By adding a second Wireless Mic Kit (sold separately) two presenters can be wireless simultaneously with the freedom to roam within a 300 ft. radius. Powered by 10 D-cell batteries for up to 200 hours of talk time or choose optional rechargeable NiCad battery pack (requires S1460). 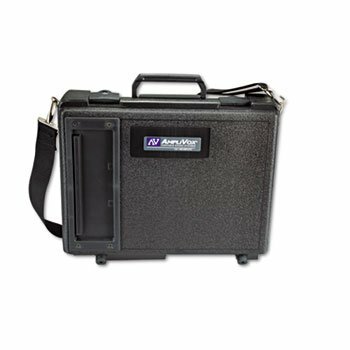 A complete presentation system built into a rugged, compact carrying case. 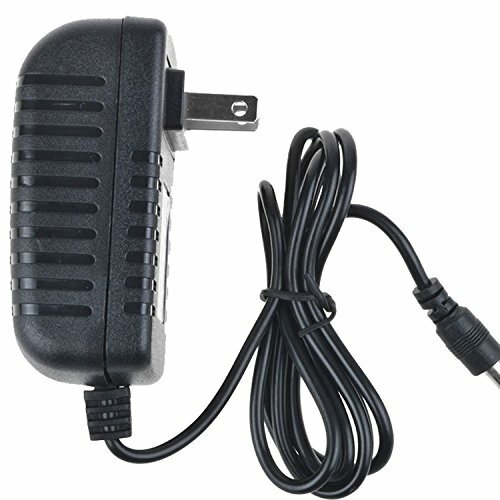 Powerful 50 Watt multimedia stereo amp, reach up to 1,000 people outdoors or in rooms up to 10,000 square feet. 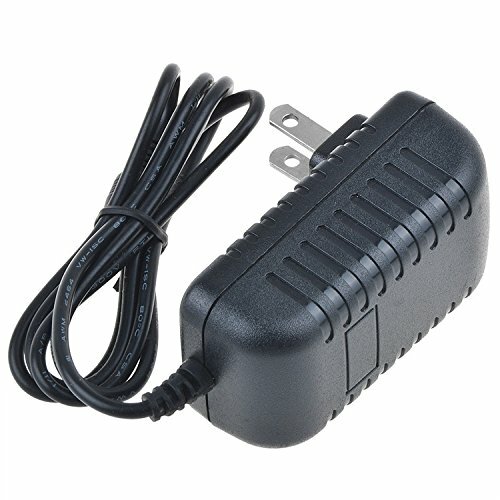 Built-in 16 Channel UHF Wireless Receiver and included Wireless Headset/Lapel microphone. Bluetooth wireless technology, stream audio wirelessly from your smart phone, tablet, or any other Bluetooth enabled device. A proven "Road Warrior", specially tooled and molded plastic briefcase-style enclosure for exceptional durability and portability. Travels and sets up so easily. Dual wireless option, accommodate multiple presenters. By adding a second Wireless Mic Kit (sold separately) two presenters can be wireless simultaneously with the freedom to roam within a 300 ft. radius. Powered by 10 D-cell batteries for up to 200 hours of talk time or choose optional rechargeable NiCad battery pack (requires S1460). 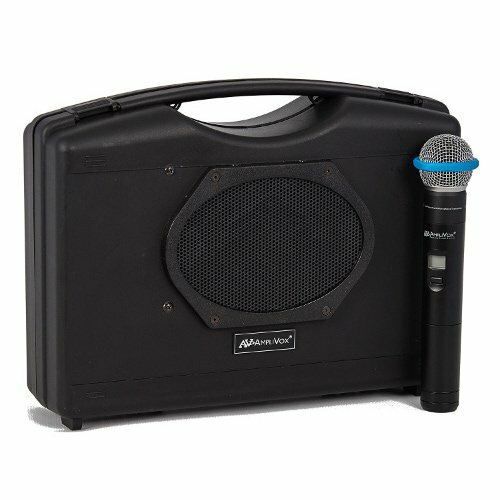 The perfect companion for LCD projectors, this portable speaker/amplifier combination is ideal for audiences of up to 1,000 in rooms up to 10,000 sq Delivers crisp, clear sound Features with 200 h maximum battery Operation time Dual-channel internal wireless receiver lets presenters roam up to 300 ft. Rugged, highly-portable design keeps everything contained in a 4 lbs. 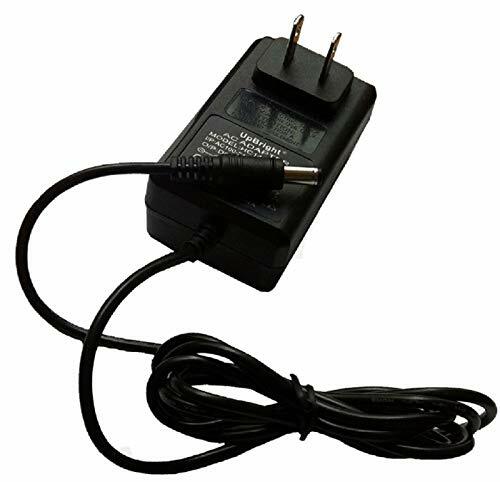 Amp has three mic inputs (condenser, dynamic and wireless), auxiliary input jacks of about 3.5 mm RCA with separate tone/volume controls for CD players and multimedia projectors as well as line out jacks for additional speakers or recording. 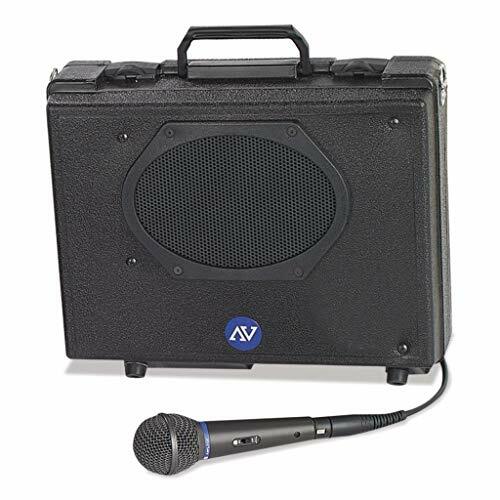 The perfect companion for LCD projectors, this portable speaker/amplifier combination is ideal for audiences of up to 1,000 in rooms up to 10,000 sq. ft. Built-in 50W amplifier with 6 x 8 Jensen design speaker delivers crisp, clear sound. Dual-channel internal wireless receiver lets presenters roam up to 300 ft. Rugged, highly-portable design keeps everything contained in a 4-lb. carrying case with a handle and shoulder strap. 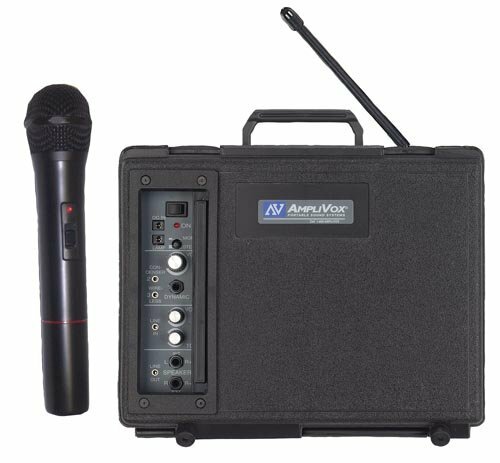 Amp has three mic inputs (condenser, dynamic and wireless), auxiliary input jacks with separate tone/volume controls for CD players and multimedia projectors as well as line out jacks for additional speakers or recording. 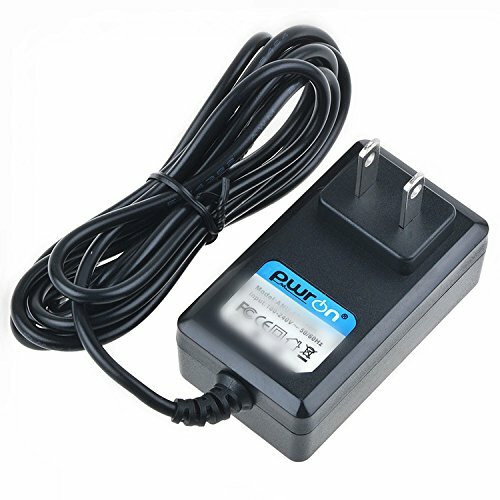 PwrON AC to DC Adapter For AV Amplivox S222 Wired SW222 Wireless Audio Portable Sound Buddy PA System International Recharger Power Supply Cord PwrON is specializing in the production of high quality and economical replacement power supply for laptop ,tablet,phones and other electrical appliances.Products are certificated with CE, FCC etc.Safety Features: Over Current Protection, Over Voltage Protection, Over Temperature Protection, Short Circuit Protection. 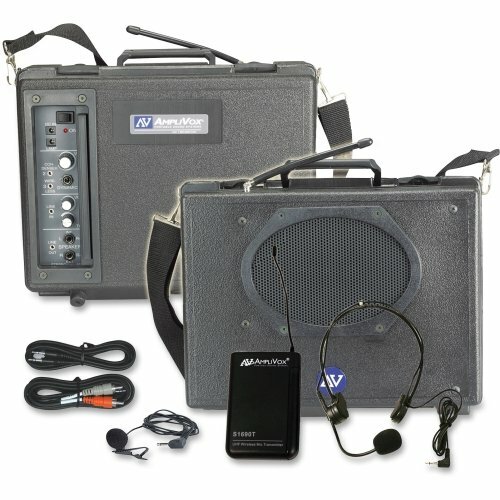 A complete presentation system built into a rugged, compact carrying case. 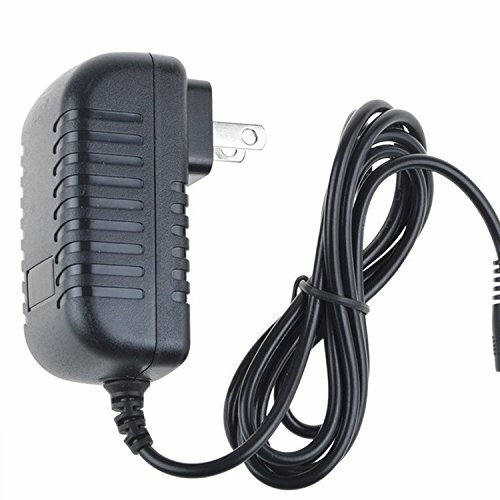 Powerful 50 Watt multimedia stereo amp, reach up to 1,000 people outdoors or in rooms up to 10,000 square feet. Bluetooth wireless technology, stream audio wirelessly from your smart phone, tablet, or any other Bluetooth enabled device. A proven "Road Warrior", specially tooled and molded plastic briefcase-style enclosure for exceptional durability and portability. Travels and sets up so easily. Dual wireless option, accommodate multiple presenters. 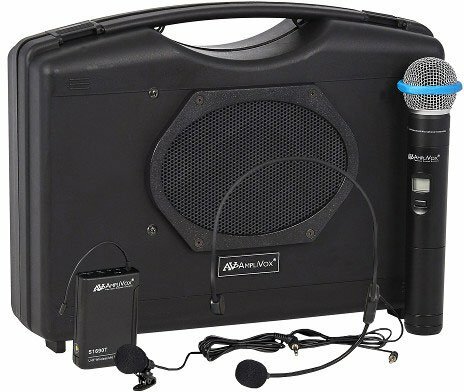 By adding a second Wireless Mic Kit (sold separately) two presenters can be wireless simultaneously with the freedom to roam within a 300 ft. radius. Powered by 10 D-cell batteries for up to 200 hours of talk time or choose optional rechargeable NiCad battery pack (requires S1460). 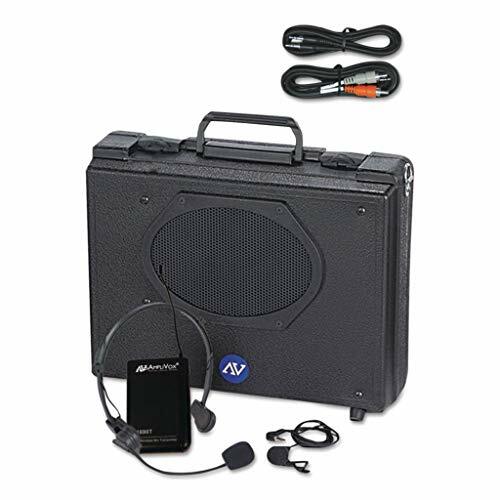 The perfect companion for LCD projectors, this portable speaker/amplifier combination is ideal for audiences of up to 1,000 in rooms up to 10,000 sq. ft. Built-in 50W amplifier with 6 x 8 Jensen design speaker delivers crisp, clear sound. Dual-channel internal wireless receiver lets presenters roam up to 300 ft. Rugged, highly-portable design keeps everything contained in a 4-lb. carrying case with a handle and shoulder strap. 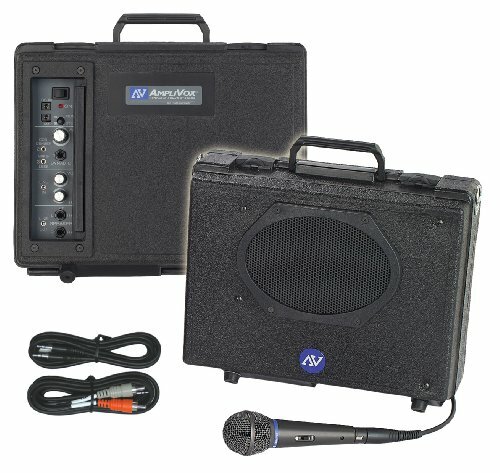 Amp has three mic inputs (condenser, dynamic and wireless), auxiliary input jacks with separate tone/volume controls for CD players and multimedia projectors as well as line out jacks for additional speakers or recording. 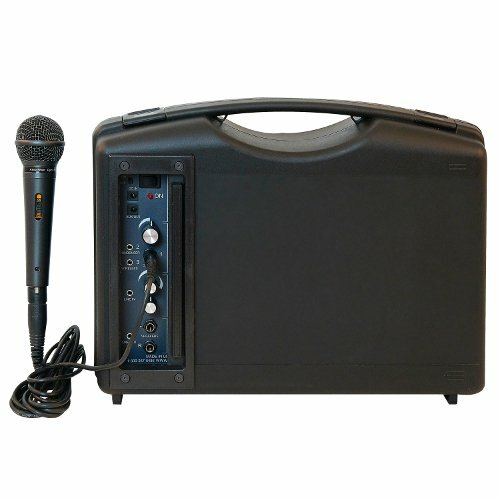 Mic Input Types: Condenser; Dynamic; Wireless; Number of Mic Inputs: 3; Speaker Type: 6" x 8" Jensen Speaker; Number of Speakers: 1. 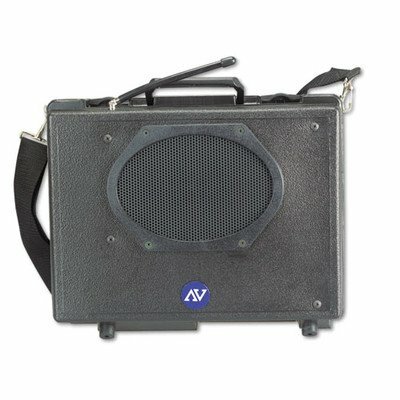 The perfect companion for LCD projectors, this portable speaker/amplifier combination is ideal for audiences of up to 1,000 in rooms up to 10,000 sq. 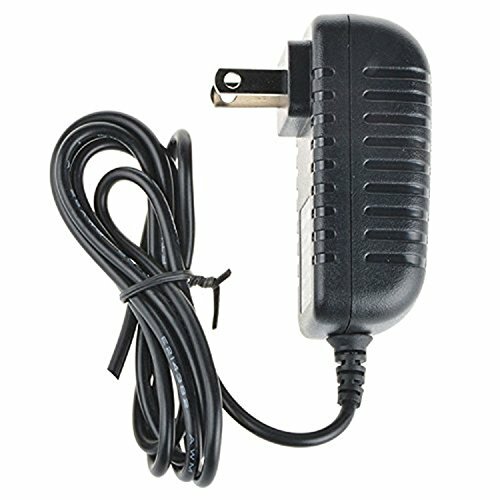 Delivers crisp, clear sound Features with 200 h maximum battery Operation time Professional-quality wired mic has a 15 ft. cord and offers smooth frequency response. Rugged, highly-portable design keeps everything contained in a 4 lbs. 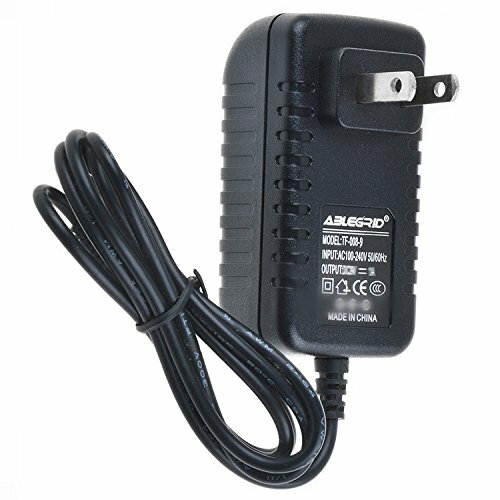 Amp has three mic inputs (condenser, dynamic and wireless), auxiliary input jacks of about 3.5 mm RCA with separate tone/volume controls for CD players and multimedia projectors as well as line out jacks for additional speakers or recording. Looking for more Amplivox Wireless Portable Buddy similar ideas? Try to explore these searches: Heart Shaped African Amethyst Ring, 23mm Round Beads, and Dark Brown Gradient Lens.